Esri encourages you to get creative with the Story Map apps. 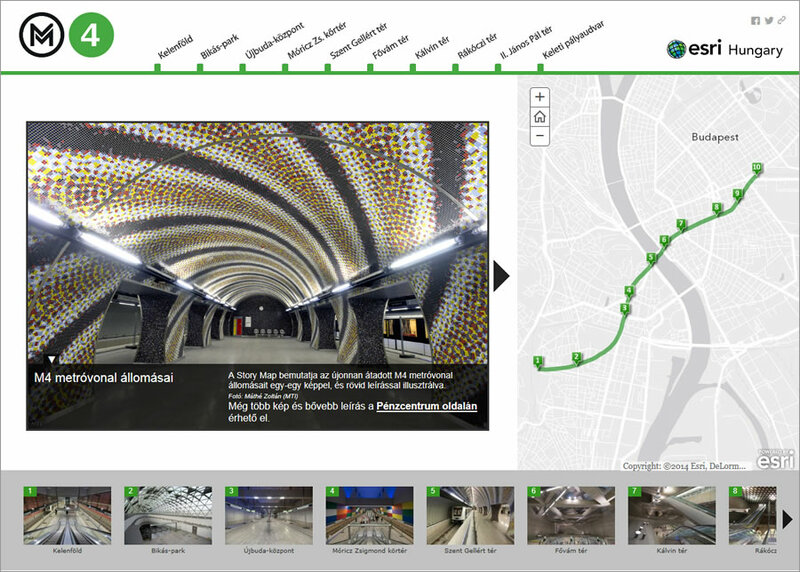 Do you like to tell stories using maps and other media such as these in the Esri Story Map Gallery? If you do, then it's time to gather your photos, videos, audio, or imagery together and enter the Esri Storytelling with Maps Contest. "Everything is fair game, including a Story Map you've already created or brand-new Story Map," said Allen Carroll, leader of Esri's Story Map team. "Feel free to alter or customize our Esri Story Map apps. Entries will be judged on how effectively you make the subject matter interesting, understandable, and engaging." Your Story Map entry may be hosted by Esri or on your own server, but the code for each entry needs to have originated with one of our Story Map apps. You are encouraged to alter or customize the Story Map app to suit your needs, such as adding a unique banner. Visit Esri's Story Map Apps site to find examples and step-by-step instructions for each of the Story Map apps. You will need either an ArcGIS Online public or organizational account to enter the contest. If you do not currently have an ArcGIS Online account, Esri will provide you with a free public account. There will be 13 prizes in total, including a grand prize for the best overall Story Map entry as chosen by the contest judges. Grand Prize/Best Overall: A one-year ArcGIS Online for Organizations subscription for up to five users, a plaque, and a certificate. First prize: A copy of the book The Smithsonian's History of America in 101 Objects, a one-year subscription to Smithsonian magazine, a plaque, and a certificate. Second prize: A one-year subscription to Smithsonian, a plaque, and a certificate. Third prize: A one-year subscription to Smithsonian, a plaque, and a certificate. The competition is now open and closes June 2, 2014, at 5:00 p.m. (PDT). The winning maps will be shown at the Esri International User Conference and the winners will be announced at the Special Achievement in GIS (SAG) awards ceremony. Visit the Storytelling with Maps Contest to learn how to enter. Read the contest rules. Esri employees and distributors are ineligible to enter the contest.